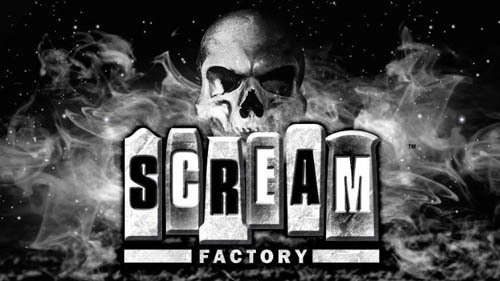 Dread Central has details on the special features coming with Scream Factory’s release of THE LARRY FESSENDEN COLLECTION, which collects Fessenden’s NO TELLING, HABIT, WENDIGO, and THE LAST WINTER. 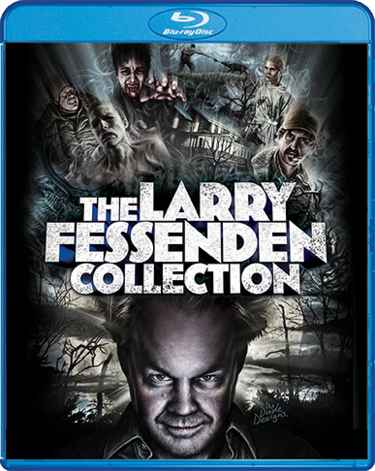 Scream Factory, in conjunction with IFC Midnight, will bring together four critically-acclaimed films by this multi-talented filmmaker with the release of the four-disc The Larry Fessenden Collection on Blu-ray on October 20, 2015. 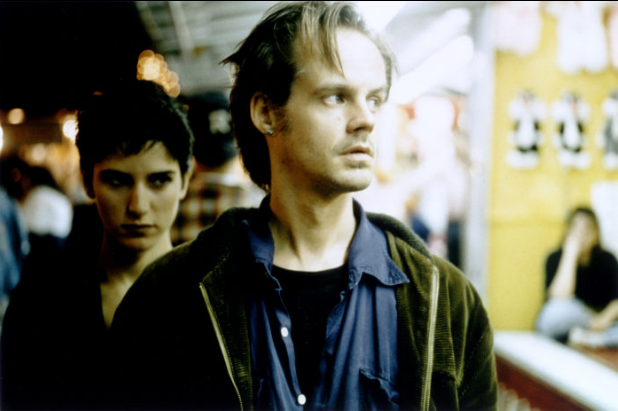 Marking the first time these films have been available on Blu-ray, The Larry Fessenden Collection includes No Telling, Habit, Wendigo, and The Last Winter and features new, director-supervised HD transfers. 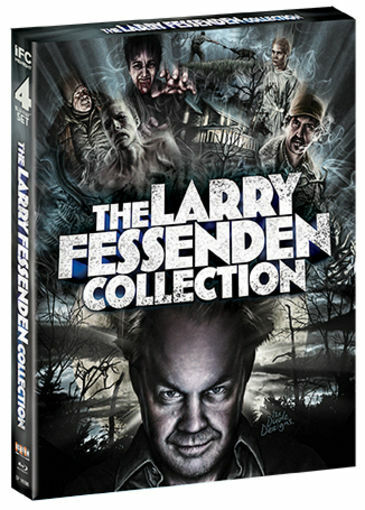 The first three hundred fans who pre-order their copies from ShoutFactory.com will have their slipcase signed by Larry Fessenden. Shout! 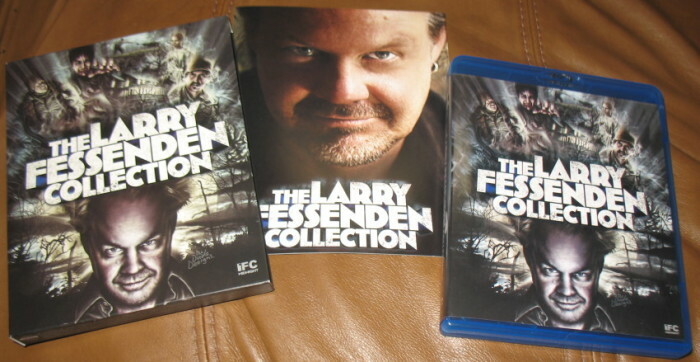 Factory – The Larry Fessenden Collection Artwork Revealed! Shout! Factory just released the artwork for the special Larry Fessenden Collection Blu-Ray release! 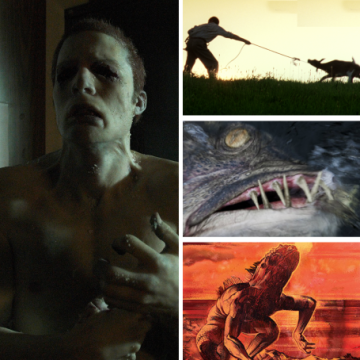 Four tales of terror from the multi-talented filmmaker Larry Fessenden will be making their Blu-ray debuts on October 20th within THE LARRY FESSENDEN COLLECTION. 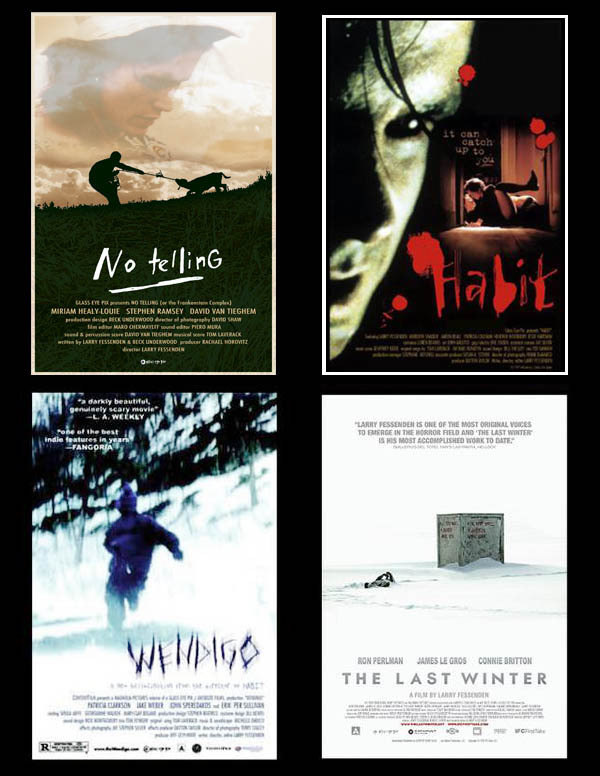 As reported back in June, the films are NO TELLING (1991), HABIT (1995), WENDIGO (2001) and THE LAST WINTER (2006). 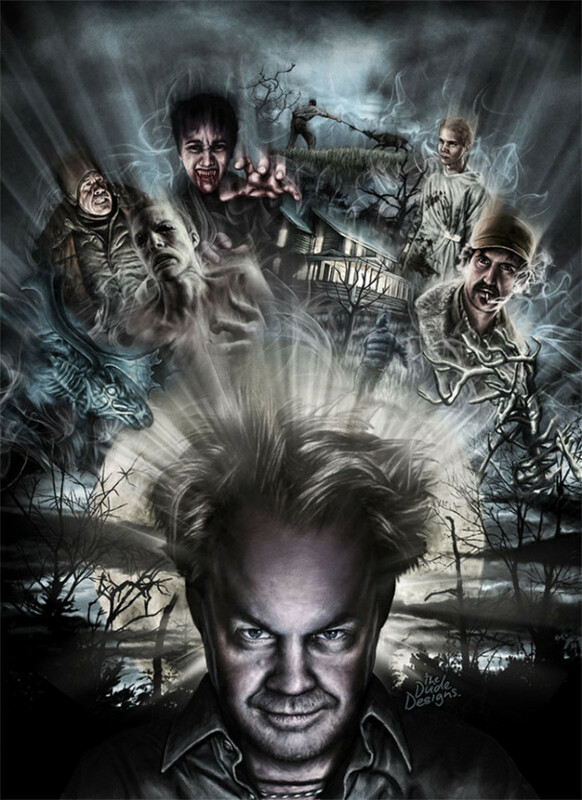 Extras on the 4-disc set will be announced at a later date but we can officially share the final artwork (provided from the Director himself) and also an exclusive offer if you order from us directly: The set will ship two weeks earlier than national street date PLUS the first 300 who order will received a signed slipcase from Mr. Fessenden himself!